Heavy earthquake at the southern part of New Britain and on top of the Subduction zone near Atua, Ablingi, Awio and Kalagen, all hamlets at the sea. NO Tsunami report has been issued by NOAA nor by GDACS. Although Papua New Guinea has a lot of experience with heavy earthquakes, Earthquake-Report.com calls this earthquake moderately dangerous for damage and injuries. The hamlets specified above will experience a VI MMI shaking = strong shaking. Most of the houses will have been build in wood and bamboo. Based on our experiences, it will take a very long time before we will receive news. As there are no roads in the area, eventual rescue teams mostly reach the villages by walking ! PNG, one of the poorest nations in the world, does not have enough equipment to do it otherwise, a shame for the international community. P.N.G. experiences regular heavy to very heavy earthquakes and almost nobody cares about it ! Amid the ongoing eruption of Mount Merapi in Central Java, the authorities have warned that two other volcanoes are on heightened alert, while a third has produced 117 small eruptions since Wednesday. The two others, Mount Karangetang on Siau Island in North Sulawesi and Mount Ibu on Halmahera Island in North Maluku, are a level higher on “standby,” just one level below a full alert on Level 4. 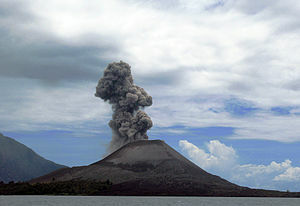 Karangetang is considered the most active volcano in the archipelago, with 41 major eruptions since 1675. Its last eruption, on Aug. 6, is believed to have killed four people. Very deep earthquake in the hot mantle of the earth. 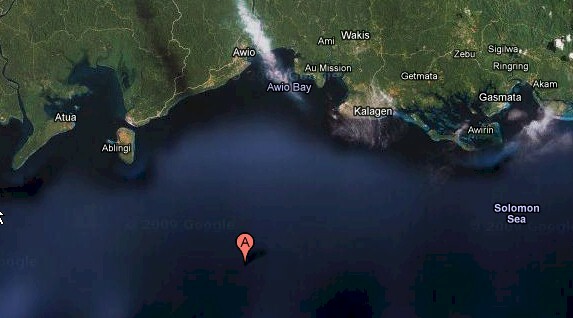 Aftershock but this time under the island in the same area and a little north of Atua. Heavy earthquake at the southern part of New Britain and on top of the Subduction zone near Atua, Awai and Baronga, all hamlets at the sea. Weak earthquake with epicenter in the Tibetan Himalaya near Cakaxiang. About 30 km out of the coast of South Pagai. 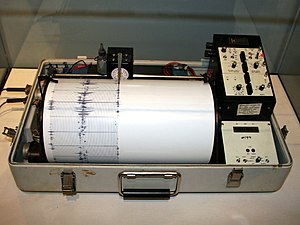 Moderate earthquake, no problems expected. Hypocenter in the hot mantle of the earth. Will be hardly felt by islanders. Harmless seaquake at a very big focal depth. The town of Senigallia is located on the Adriatic Coast (Central Italy), an area affected by affshore seismicity. The city was almost completely destroyed by an earthquake of IX MMI. The shock was characterized by strong differences in the damagfe levels at a scale of hundreds and tens of meters. The earthquake killed 18 people. The geographic position of Senigallia at the mouth of a river and its soil conditions, similar to many other coastal historical and tourist centres in the region, make this earthquake an important case history, useful for a better understanding of the seismic risk of the entire coastal area. 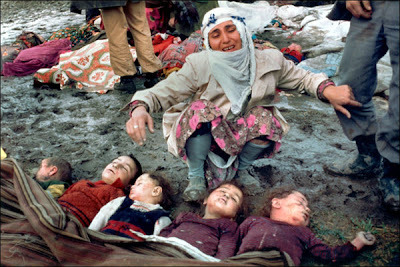 At least 1,342 people killed, many injured, 534 seriously injured, more than 25,000 people homeless, and 50 villages completely destroyed in the provinces of Erzurum and Kars. Two people killed, two injured, and considerable damage at Challis. One person injured and extensive damage at Mackay. Maximum intensity VII in the Challis-Mackay area. Total damage from the earthquake estimated at 15 million dollars. System of fault scarps extending for more than 35 kilometers with vertical displacement up to 2.7 meters observed between Mackay and Challis. Landslides, rockfalls and groundwater changes occurred throughout the region, including changes to geyser activity in Yellowstone National Park. 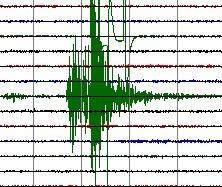 The earthquake was felt in Idaho, Washington, Montana, Oregon, Nevada, Wyoming, Utah, and parts of Canada. Epicenter 60 km from Kyzyl-Suu and Issyk Kul. Issyk Kul is an endorheic lake in the northern Tian Shan mountains in eastern Kyrgyzstan. Very deep in the (hot) mantle of the earth. Far away from populated islands. Very deep in the (hot) mantle of the earth. Epicenter 150 km (95 miles) ESE of Cruzeiro do Sul, Acre, Brazil. Epicenter 30 km of Ono-i-Lau. Ono-i-Lau is a volcanic and coral island in Fiji’s Lau archipelago. One of the southernmost of the Lau Islands, it is located at 20.80° South and 178.75° East, and occupies an area of 7.9 square kilometers. It has a maximum elevation of 113 meters. It is 90 kilometers southsouthwest of Vatoa, the nearest island. Far away from the Mentawai area, but the same fault line. Epicenter on top of the subduction zone in between Sumatra and Java. Earthquake probably linked to the Kilauea volcano. Aftershock but a little more to the southeast than the M 7.7 main shock. Less than 100 km from Bengkulu.